Golf Technologies is a leading distributor and installer of technology products to golfers of all abilities through Australasia. We are here to improve your game. By developing strategic partnerships with the biggest brands in the business we continue to provide the highest level of customer service and support. We demonstrate and offer practice sessions using this technology at our flagship golf studio in Chatswood. See all of our products at our demonstration facility in Albany. The technology is so easy to use and understand, you no longer have to be a geek to run it or understand it! We are proud to work and contribute to the commercial successes of some of the industry’s leading manufacturers, retail groups, independent retailers, resorts, golf professionals and academies. We’d love for nothing more than to help you master your passion, and feed your need! 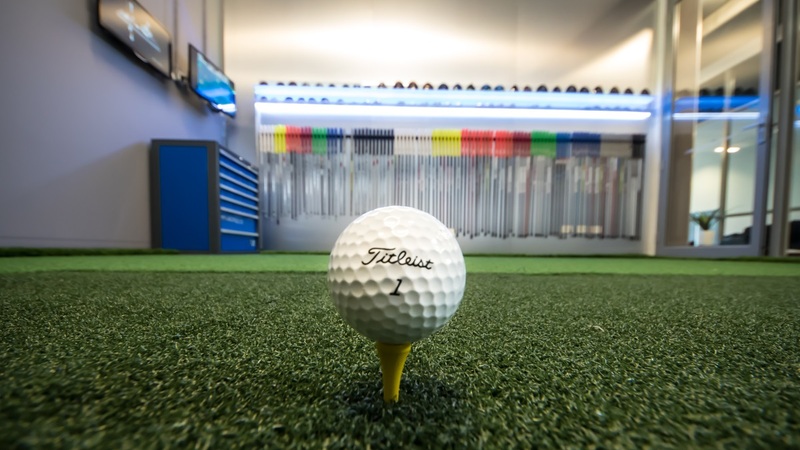 Golf Technologies’ Sydney office with our demonstration studio is based at Chatswood where we have partnered with Precision Golf to build the most dynamic and technologically advanced golf studio in Australia. Here, we have the ability to play 87 different courses via TruGolf simulation and we offer a full range of club fitting with the team at Precision Golf using the FlightScope launch monitor. We have the ability to track players balance data using the Swing Catalyst Balance plate, an industry leading piece of equipment. This information all comes together using the Swing Catalyst studio software that links 2 high speed cameras with balance data and FlightScope data. This studio offers the most advanced technology in Australia.